When you’re in the mood to indulge – and let’s be honest, who isn’t in that mood every once in a while? – why not indulge in delicious, chocolatey cake-goodness that epitomizes the deadly, but yummy, sin of gluttony? Every once in a while, it’s damn fine to be gluttonous. In fact, here at Sinful Sweets, we encourage it on a regular basis. Our full menu of over-the-top and enchantingly sinful flavors run the gamut from Lust to Pride to Sloth, but the most appropriate way to indulge your gluttony is to take a huge chocolatey bite out of our Gluttony cake or cupcake. This ridiculously decadent combination of chocolate, caramel and peanut butter will transport you from the third circle of hell straight up to the heavenly gates. 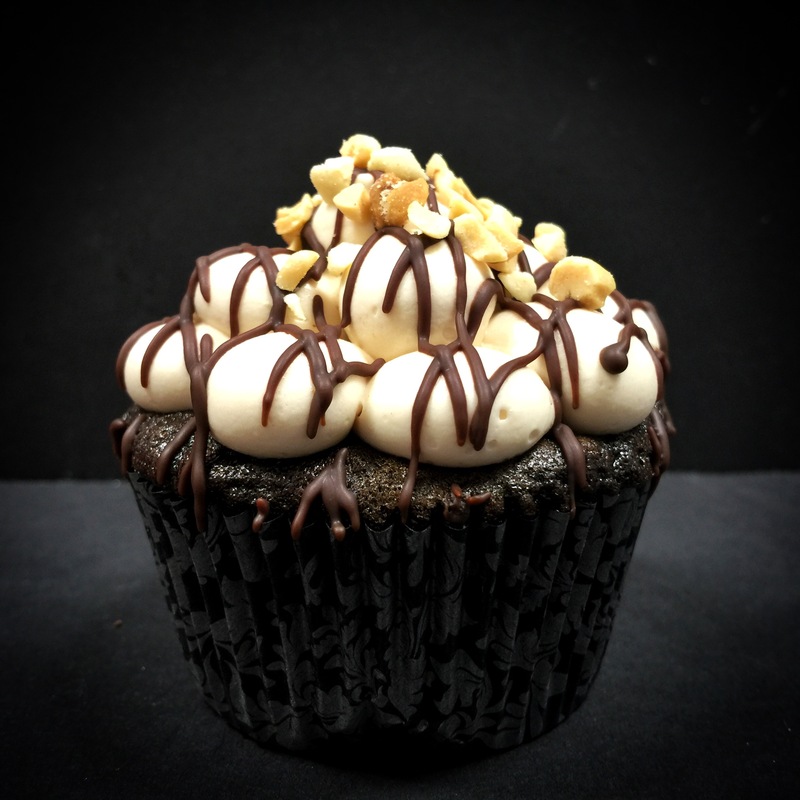 In the gooey center of our rich chocolate cake, you’ll find our luxurious salted caramel and toasted chopped peanuts. And the frosting? It’s a generous helping of peanut buttery goodness that’s so tantalizing it will make your knees weak. And lest we forget – a drizzle of chocolate ganache and sprinkling of crushed peanuts finish off this gluttonous delight perfectly. Turn off your phone, unplug your laptop and sit down to take a break from the mundane every-day with an indulgence in the form of cake GODliness. Whether a slice of our cake or a portable cupcake, they both rank among life’s simplest but most delicious pleasures. The Deadly Sin of Gluttony is all about the pleasures of the palate and stomach. While it may be biblically frowned upon to indulge your desires and your sweet tooth in this day and age, we encourage our customers to practice a bit of gluttony in their everyday lives. You only live once after all – why not enjoy every moment of it? Indulge in our Gluttony cake or cupcakes when you want to – you won’t regret it! And we won’t tell anyone if you decide to have seconds! 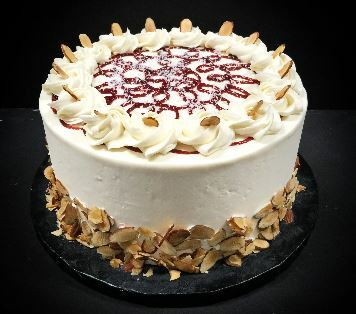 Sinful Sweets’ cakes and cupcakes are made in-house with all natural ingredients from start to finish, allowing us to provide our customers with the most delicious handmade delectables. Check out our social media so you can satiate your sweet tooth and stuff your belly with our delicious cakes and cupcakes later this month when we reopen on Monday, June 20th! Stay tuned to our site for updates, and be sure to follow us on social media to get the latest on the grand reopening! !